Chava Letters began his career as a filmmaker in the profession of cinematographer. Watching the cinema from this perspective, generated great opportunities to work alongside directors, who showed him the trade of telling stories. 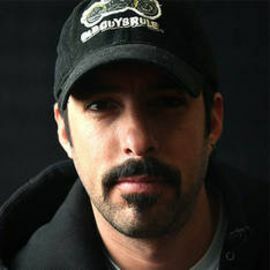 Throughout his career as a photographer, he managed to photograph more than 15 feature films and made his directorial debut with the feature film "Amor Xtremo", a combination of adventure, road movie and western. After his debut, he directed "Rock Mari", which won numerous awards at the Guadalajara International Festival. After several successes in television, she returns to the cinema with the film "Treintona, Soltera Y Fantástica", which managed to gather more than 3 million viewers, placing her in the top 10 of the most successful films in the history of Mexican cinema. Cartas is a director who has managed to create a connection with the public in a very honest and unpretentious way both on television and in the cinema. But above all he understands that cinema is an art of entertainment, that is why he has managed to position his projects in such a way that they are recognized by the masses. Academy Award-Winning Producer; Known for "Green Book"